“I really hope that whatever happened wasn’t painful for him, or it was quick. Or he had a peaceful death,” Abdullah Khashoggi told the US network during the interview in Washington on Sunday. 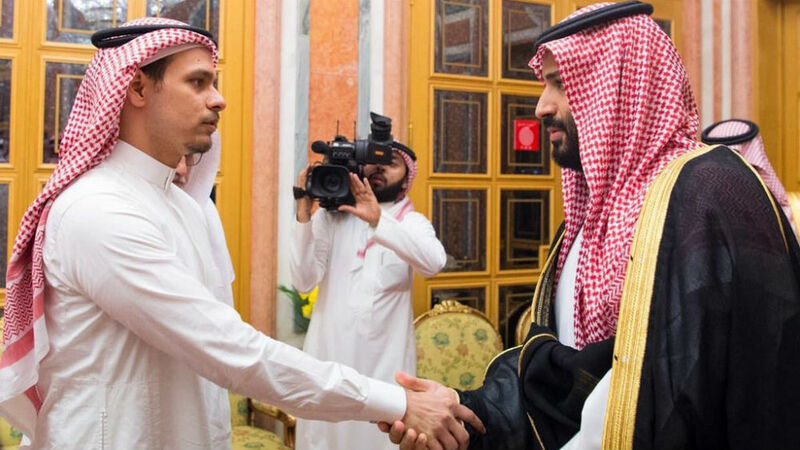 His brother Salah said “all what we want right now is to bury him in Al Baqi in Medina with the rest of his family,” referencing a cemetery in Saudi Arabia. “I mean there was nothing, they were just over-analysing the whole situation… I understand why they’re trying to do that. They’re trying to get as much information as they can out of anything, which is something that we’re also doing. Sometimes they’re just baseless claims, sometimes they just don’t make any sense,” he told the network. Turkey’s chief prosecutor said recently that Khashoggi was strangled as soon as he entered the consulate and also confirmed the body was dismembered. He told Turkey’s Anadolu news agency it was now accepted that Khashoggi was targeted in a pre-meditated murder. Khashoggi’s killing has provoked widespread outrage and sharp criticism from Washington, usually the staunchest of allies. Khashoggi’s sons voiced worry that the work of their father, a columnist for The Washington Post, was being distorted for political reasons. The brothers said they have relied primarily on news reports to piece together an understanding of their father’s death. The murdered journalist’s fiancee meanwhile has called on US President Donald Trump to back Turkey’s efforts to probe the death.